Makes sense if you read this post yesterday about the bill, although I’m still a little surprised to see Trump acquiesce. “Aides say the quickest way to get Trump to do something is to tell him he can’t,” wrote Mike Allen this morning about the uproar over potential Russiagate pardons. 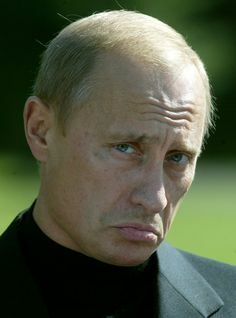 Well, Congress just told him “you can’t” with respect to unilaterally lifting Russia sanctions. Trump must be sorely tempted to stick it to them with a veto. But to what end? The House and Senate have the numbers needed to override his veto, guaranteeing that the bill will become law anyway while giving Trump a black eye. (John Thune, the number three Republican in the Senate, warned Trump in his own TV appearance this morning that a veto would be futile.) And even if they couldn’t override it, Trump would be spending political capital to defeat a bill that sought to punish … Russia. The last thing he needs is to give his critics new cause to call him a Putin stooge.